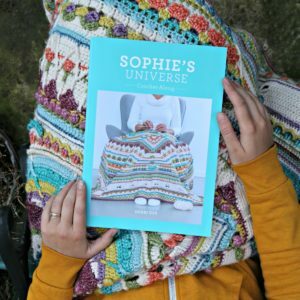 I am so excited to tell you about Scheepjes’ latest adventure: the YARN bookazine! 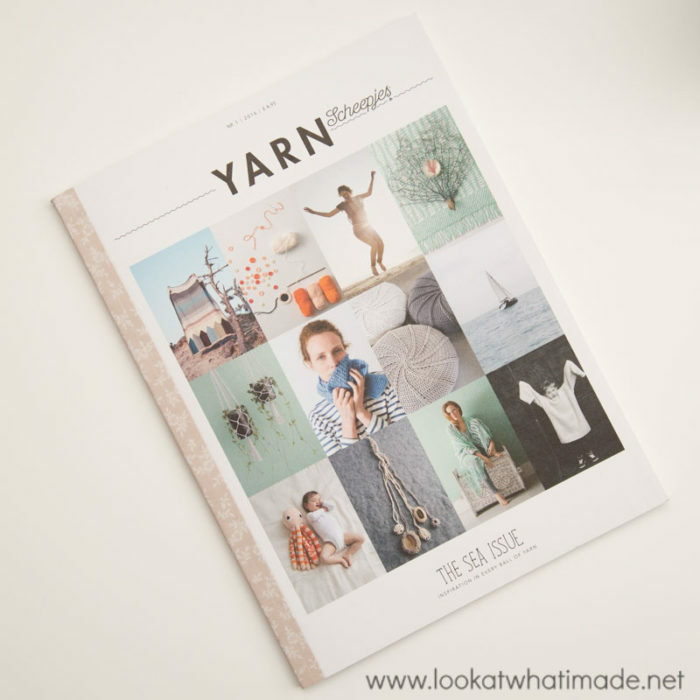 YARN is a new biannual collectible bookazine by Scheepjes. 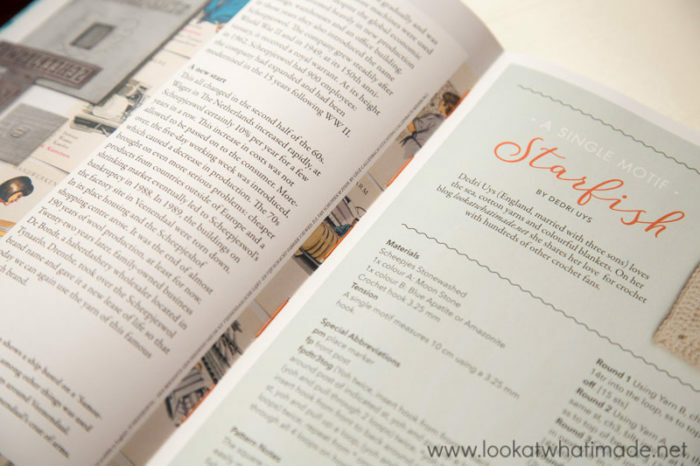 It is printed on the most amazing paper and the pages have been ‘Section Sewn’ together, meaning that the bookazine is able to lie completely flat when opened. 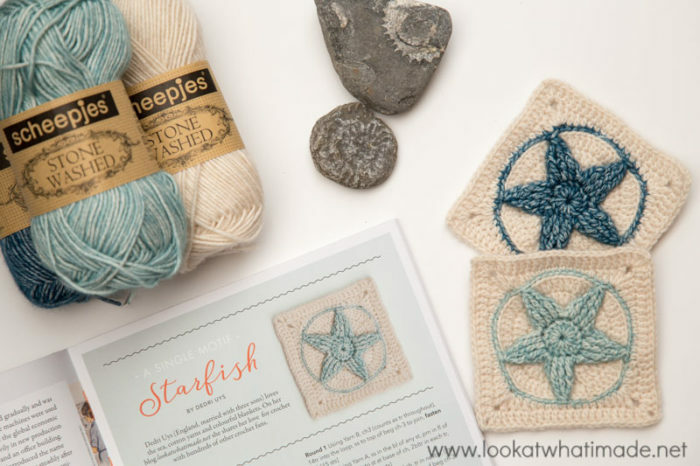 I love how the stitching matches the word ‘Starfish’! 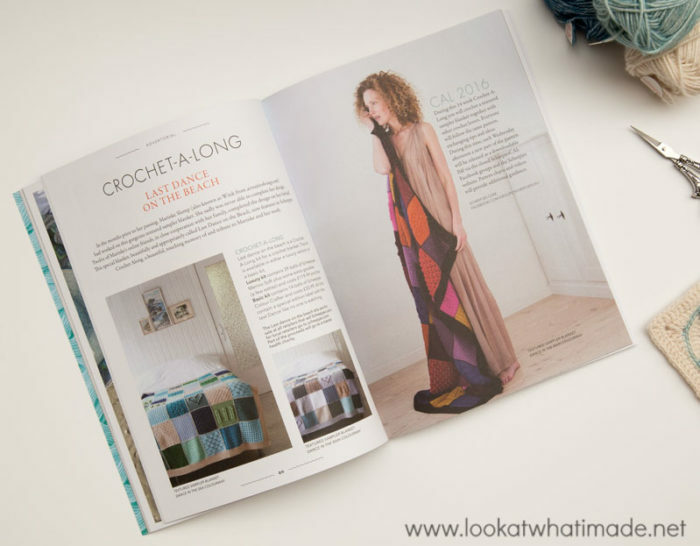 The bookazine is smaller than regular magazines (the size of an iPad 2, in fact), so it is easy to carry around in your project bag or purse (if you have a big enough purse). Each Issue will have a specific theme. The first issue is ‘The Sea Issue’ and I am honoured to have contributed a design to it. 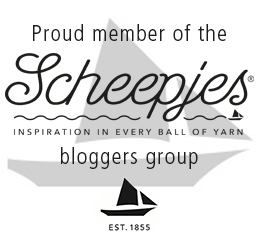 Scheepjes have also included a little ‘Inspiration Piece’ about me. 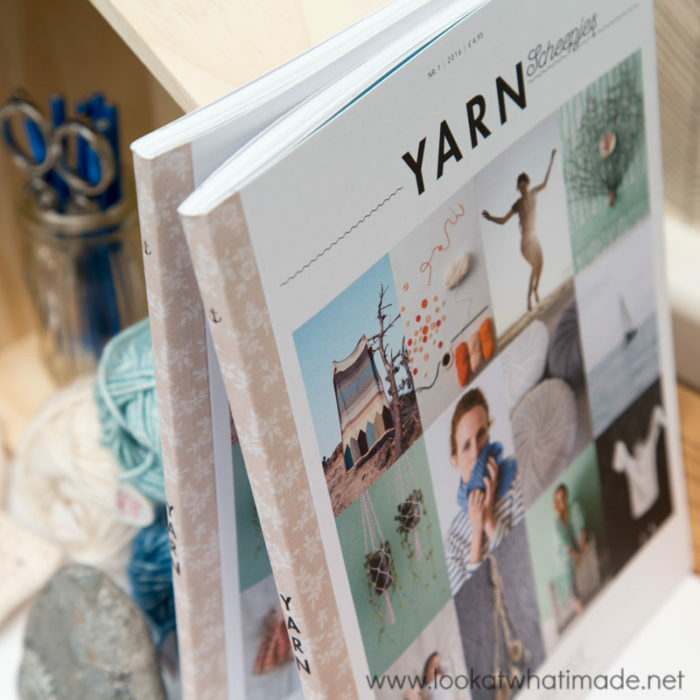 The projects featured in the YARN bookazine are fresh and sophisticated. 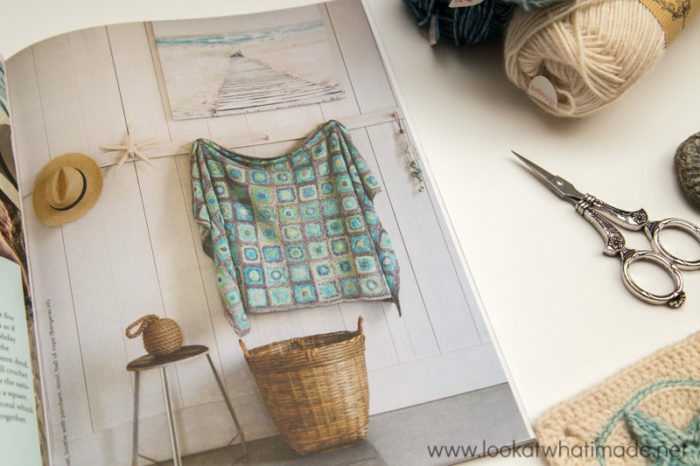 My favourite project is the Aquarel Blanket by Atty from Atty*s.
I also really like the feature about the Last Dance on the Beach CAL. The bookazine is full of amazing photography and projects and it doesn’t contain any ads, making it extremely pleasurable to look through. You can see a quick flick-through of it HERE. 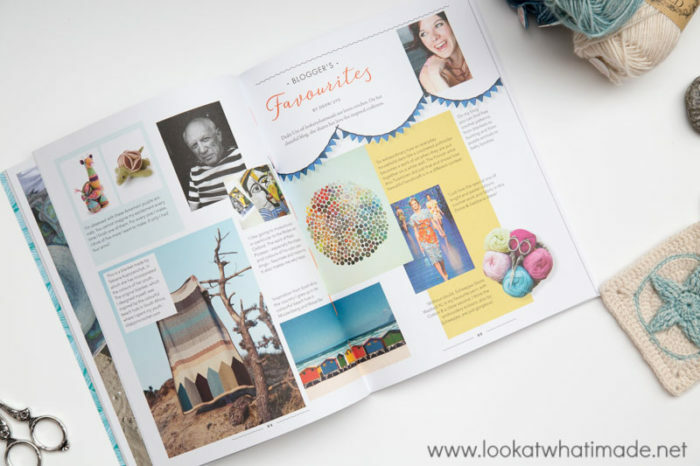 The first part of the bookazine acts as a ‘look book’ so that you can enjoy the 15 featured projects without the distraction of charts and instructions. 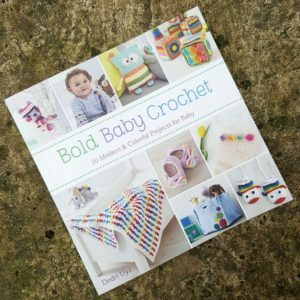 The second part contains all the patterns and charts. …and a handy flap that contains a list of abbreviations. The flap also has holes so that you can attach yarn samples to it. With all these features, it is hard to believe that the bookazine costs just €6.95/ £4.95. 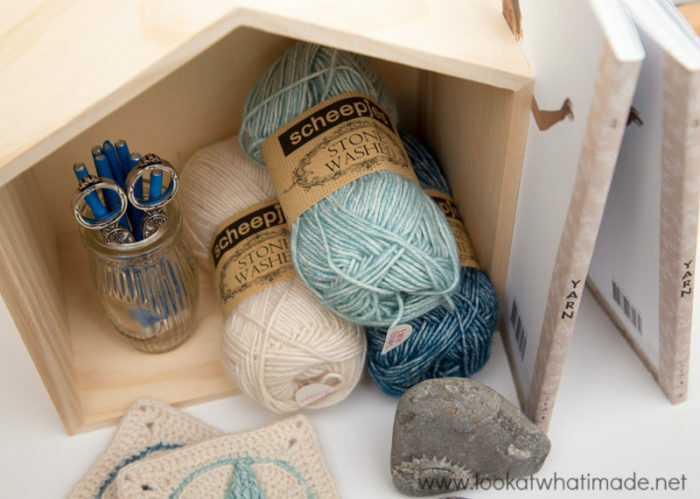 It is available from Wool Warehouse (Internationally) and from most other Scheepjes retailers. Scheepjes will probably scold me for my cheekiness, but I just cannot help sharing the next photo. This is Job. He is the (usually unseen) face of Scheepjes. 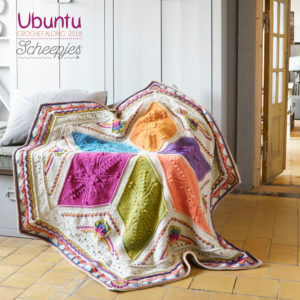 Some of you might have already seen him in the photo we shared of all the Scheepjes bloggers holding up one of the Last Dance on the Beach blankets (you can see it HERE if you don’t know what I am talking about). You might have wondered: “Who IS that man in the back row?” Well, this is ‘that man’. The bookazine also features a 5-page spread about the history of Scheepjes and how the De Bondt family ended up taking over the brandname. 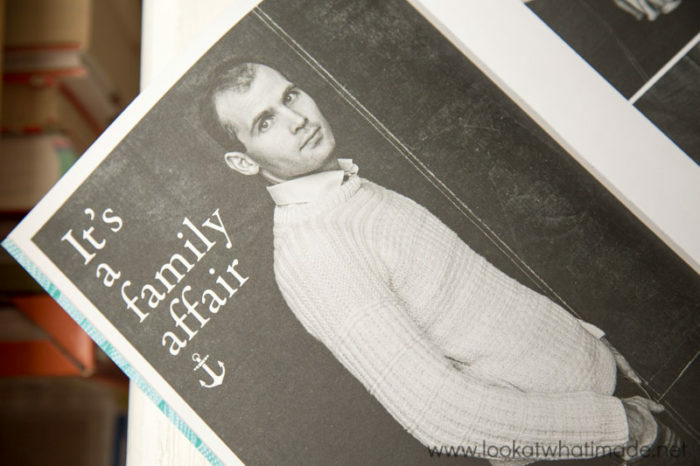 I especially love the photos of Job’s parents and his children wearing this very same sweater. It is heart-warming! Have you already bought your copy? If you did, what did you think? 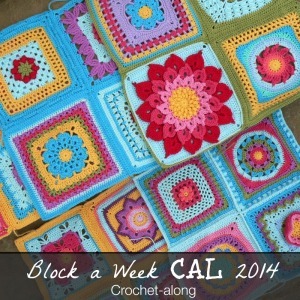 I love your starfish square design and will be ordering the bookazine and yarn for a blanket as my next project. Can you please advise roughly what proportion of each colour I should order? I can see that the pattern says one ball each of colour A and colour B but is this to make just one square? If I wanted to make multiple cream squares with alternate blue and turquoise starfish, should I order in the proportions 50% cream 25% blue and 25% turquoise? Looking at the design I think it would be sensible to order extra cream wool as there seems to be significantly more cream than blue or turquoise in each square. 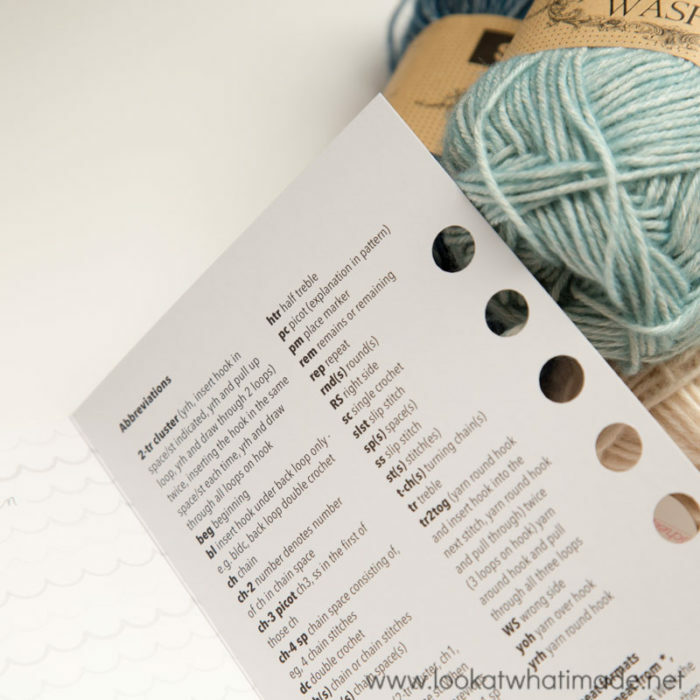 Your advice would be very welcome as I don’t want to have to pay for wasted yarn (or extra postage charges!) if my quantities are way out. Many thanks! Hi Meg. For 48 squares, you will need 10 balls of moonstone and 2 of each blue. 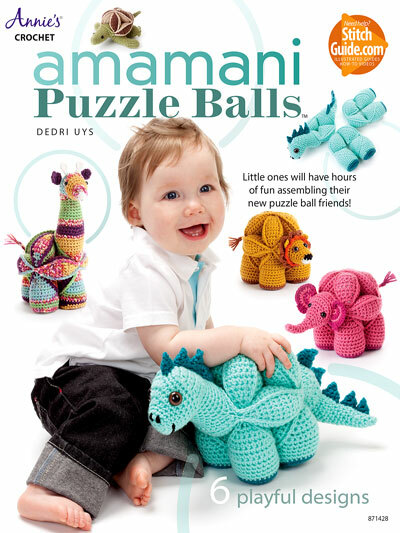 This will give you 1/2 a ball of each blue and 2 balls of moonstone for a simple border too. 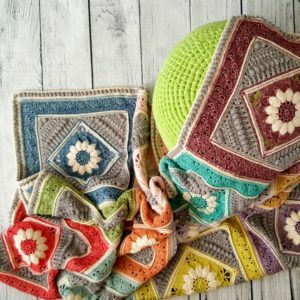 What can i do to come on this pattern? Hi Margit. I am sure they will have more in stock soon. I’ve just returned from a series of trips – some planned and some not. Have literally criss-crossed the States back and forth – six flights over the past three weeks and have far worse jet lag than I had from the England trip! Was away from computer over that time…what a treat to get back and see this! I’m going to look for that lovely Bookazine tomorrow. I was so tickled to see your Lyme Regis fossils in the photo! I just knew that clever you would find a way to use them! Thank you once again for your beautiful work and the inspiration you provide to so many of us all over the world. I’m unable to find out how to order the bookazine. Hi Jackie. 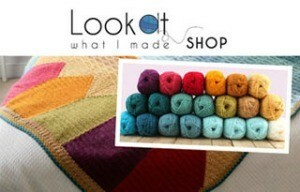 The bookazine is available from Wool warehouse via the link provided in the post. 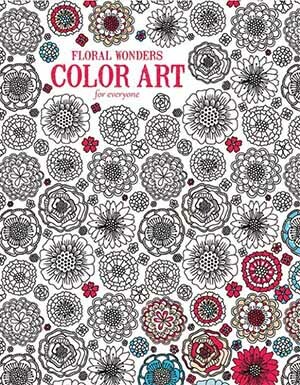 It is also available from Paradise Fibers HERE. 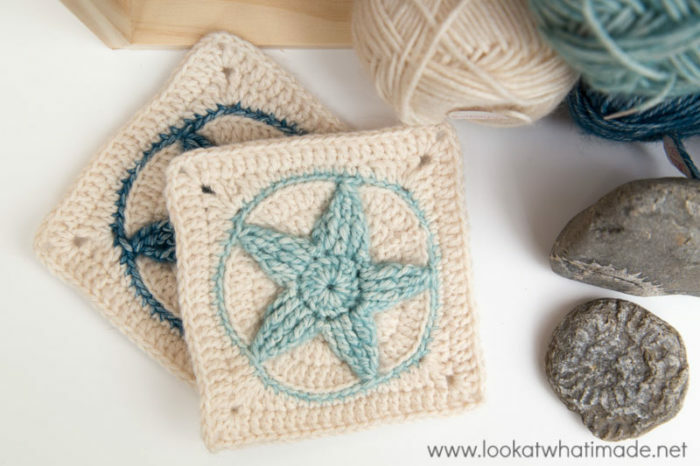 Dedri, will you be posting the pattern for the Starfish Square on your blog at some point? It’s so beautiful! Hi Kate. 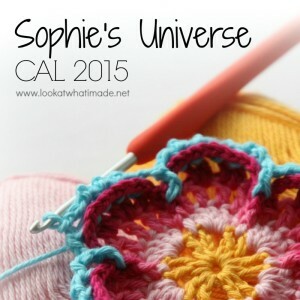 The pattern is exclusive to the bookazine and Scheepjes, so I won’t be posting it on my site. 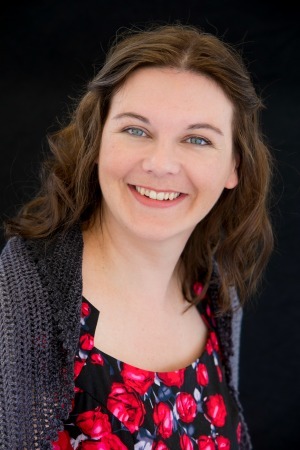 Dedri, thank you for your continuing creativity, information, and inspiration! Count this California gal amongst your growing fan-base. I already have my copy and LOVE every single page! I love it soooo much. I got it sent over special from England (to Holland) as even though I’m fluent in Dutch I knew it was special and wanted it in my mother tongue. And it is so full of eye candy. 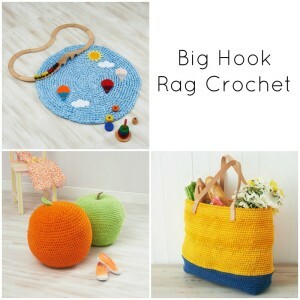 I want to make everything hahaha. Isn’t it just!!! Did they not sell english copies in the Netherlands? 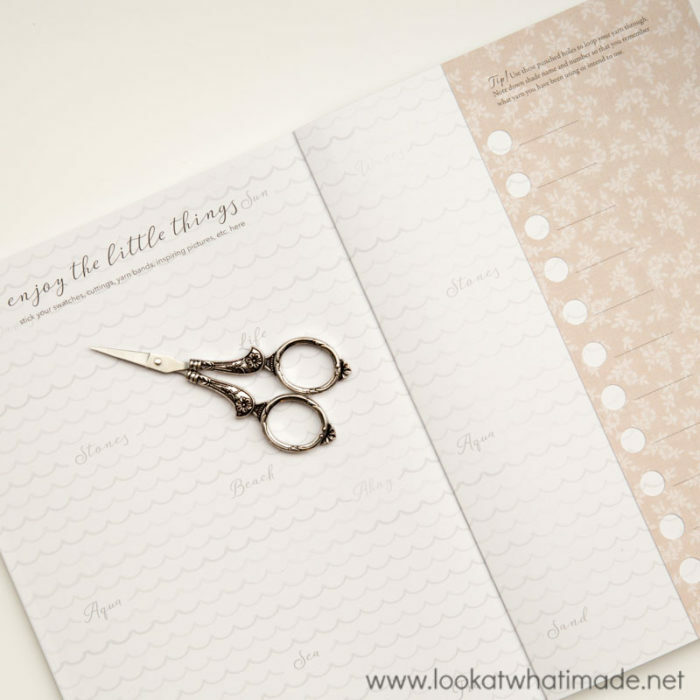 Have you seen anything you just HAVE to make?